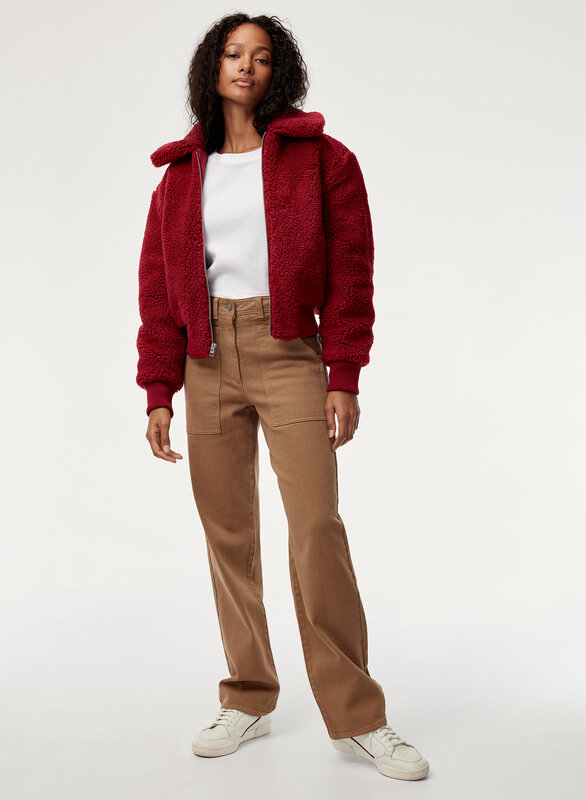 Styled with gwen t-shirt and ryley pant long . 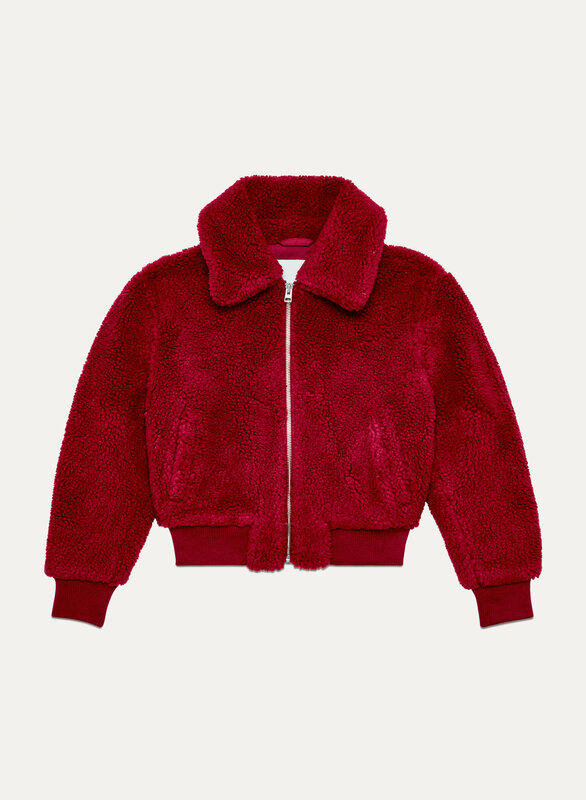 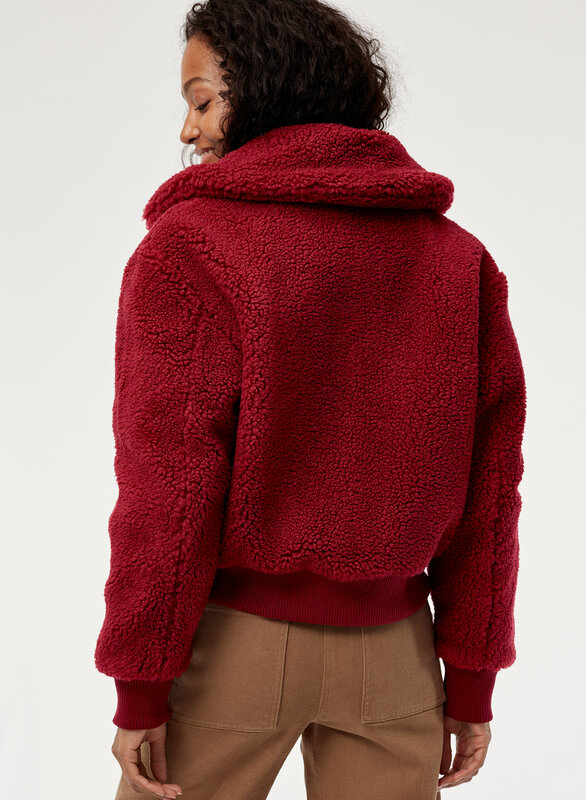 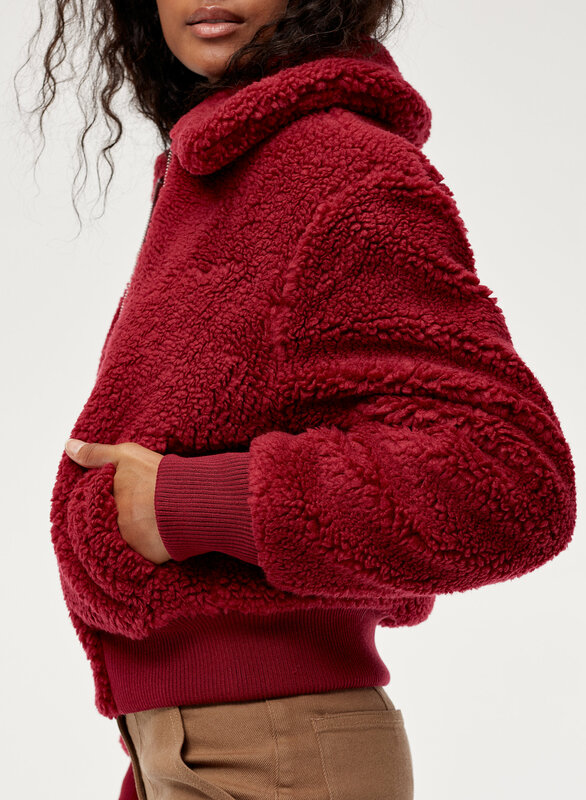 This cute, cropped jacket is the definition of cozy. 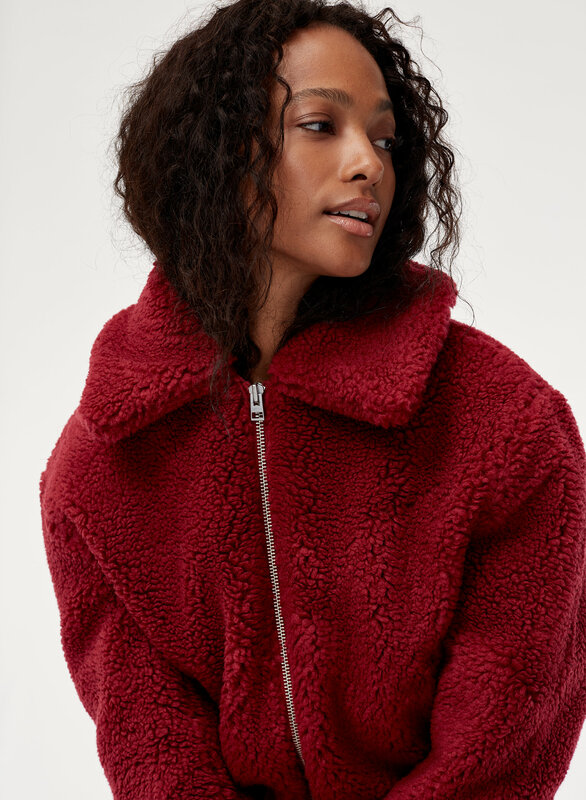 Highly textural teddy fabric is next-level plush while a soft filling and a draft-busting collar double down on the warm factor.